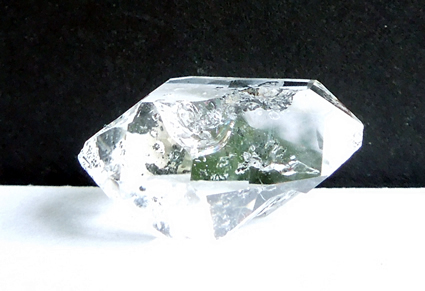 This beautiful Herkimer Diamond crystal has a glittery shine to it. 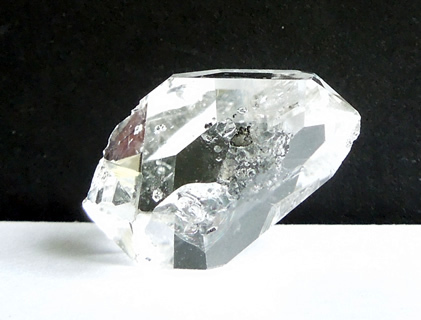 Double termination points, or tips, are sharp and clarity is excellent. Top images show this well. 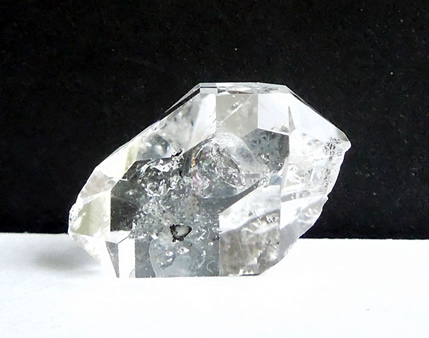 Clear bubbly inclusions are present and sparkle colors. 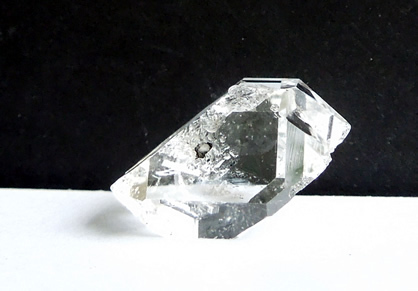 One holds specks of black hydrocarbon (anthraxolite) that seems like it should move or be fluid filled. 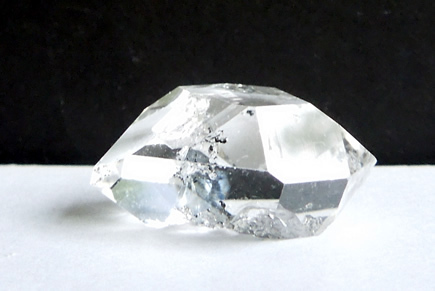 It's seen in one of the images below and cool to view with a loupe. 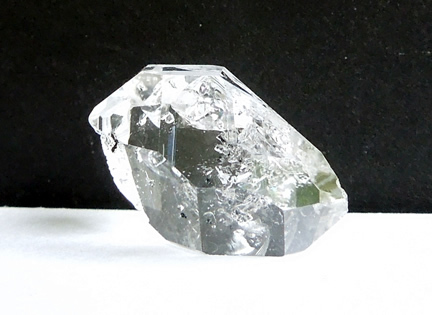 As with most C grade's, external growth occurrences are present, but minimal and in no way deter from how pretty this natural gem is. 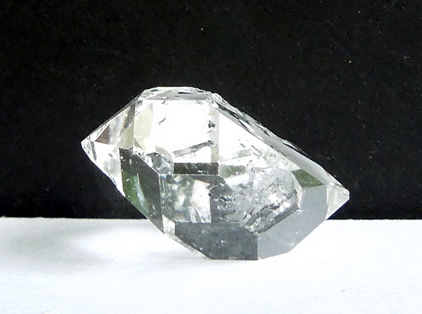 Beautiful C grade Herkimer Diamond crystal.